These large dealers and distributors are well established, have been in business for long time, and generally have the highest availability of product from all the major manufacturers. They carry O gauge (and usually all other gauges), a full range of model railroading supplies and equipment, and ship worldwide. The Train Station is Northern New Jersey’s largest Lionel Train store and one of the largest dealers in Lionel trains on the east coast. We ship trains nationwide daily. 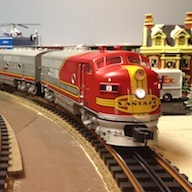 We feature a monthly sale on a large selection of Lionel Postwar trains. 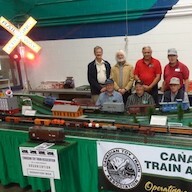 We have been in the business of Lionel Trains Sales and Service for almost 40 Years. We are a factory authorized Value Added dealer for Lionel Trains. 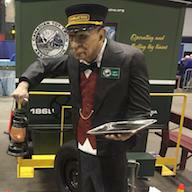 We are also an authorized Repair and Service Center for Lionel Trains old and new. We also stock and sell LGB, Atlas, Bachmann, Life-Like and Mike’s Train House model train products. We can also build Lionel Train Layouts for you. 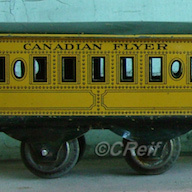 The Train Station also deals extensively in Lionel Postwar Trains, considered the best running and most collectible of all time. There’s always a nice selection that includes 6464 Boxcars, Sante Fe A-A Diesels, postwar accessories and much more. Charles Ro Supply Company has become the World’s Largest Lionel Dealer and the Number One Train Dealer in America. We are pleased to offer the largest selection and best pricing for all your model train & hobby needs. Our goal is “to provide our customers with top quality products and friendly efficient service”. We have a modern, computerized order processing/customer service department to process your order fast and accurately. Trainworld of New York is another source of everything you need for model railroading in O gauge and all other gauges. They carry a huge inventory and ship worldwide. Americas’s largest discount train store.